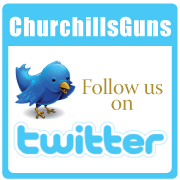 Churchills of Dereham are the newest, and one of the only, main dealers in Norfolk for Daystate. Daystate was the very first Company to produce modern pre-charged pneumatics with designs dating back to the late 1970’s. 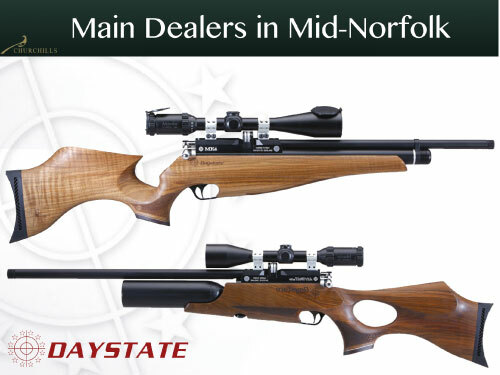 Daystate is proud of its reputation for producing world-beating airguns, for shooters of all kinds.We continue to build that reputation in the same way that we build our guns, and that’s with care, dedication and commitment to excellence.World champions, professional vermin controllers, and airgun experts right around the world use Daystate airguns. 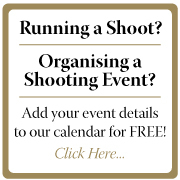 Our reputation counts – and building the world’s best airguns counts for much more. Daystate knows that when our customers buy our guns, they invest their faith in our company and everything it stands for. We appreciate this loyalty and reward it with the finest customer service package in the airgun industry. We can do this because, like our customers, we have total faith in Daystate air guns.